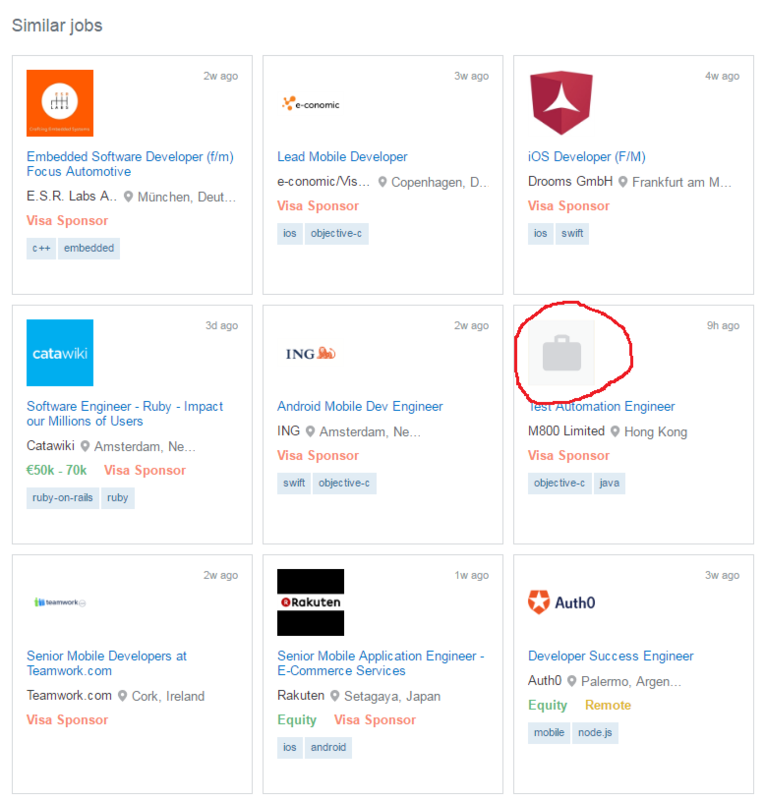 Why is it missing in the Similar jobs list? It struck again.... but it got defeated. Logos in the "Similar jobs" section should now be consistent with what you can see on the job details page. Note that the inconsistency affected only edge cases, in the vast majority of cases the logos were correct.